I decided to give Shetland a go during this half-term break, just like I did last year where I had some success (which I never got round to writing up!). I really was in between coming here or giving SW Ireland a blast what with Storm Brian having just hit. And of course, having done Corvo from 2009 to 2015, there was always that as well to consider within my week slot. But despite it being rammed full of yanks out there, I've come to the conclusion that 5 days on the island really isn't enough while getting caught out over there by birds in Britain (Eastern Crowned Warbler x2 and Chestnut Bunting) really isn't very pleasant. So that is why I am sitting writing up the last couple of days here in Lerwick! I really wished there were more people opting for the late show here because with these favourable conditions there must be so many quality birds going undetected. 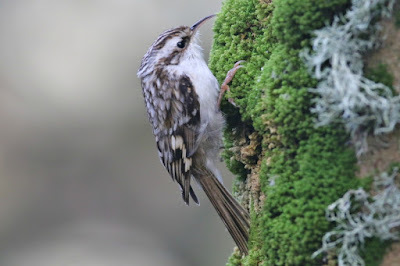 The signs are obvious just with what has been found on tomorrow's date, 23rd October - Cape May Warbler Unst 2013, Chestut-eared Bunting Virkie 2012 and Rufous-tailed Robin Fair Isle 2004 - but still everyone feels that it is too late. It is quite nice though to be able to go from site to site, seeing nobody but there genuinely must be so many birds not being found up here. Anyway, so having landed yesterday morning, I spent the day in South Mainland. Loads of Redwings around, as well as good numbers of Brambling and Goldcrests. They were the stand out species. At Geosetter, I found a Yellowhammer which had the pulse racing momentarily, saw a late male Redstart and an eastern-type Lesser Whitethroat at Levenwick and located a handful of typically pale Chiffchaffs that seem to be the norm up here this time of year. All very enjoyable, until the conditions became unbearable late afternoon with the wind strengthening and the rain incessant. So it was off to bed for a nice 12 hour sleep, having managed just half an hour on the solo drive up. Today dawned calmer, and a little bit brighter. I eventually decided where I'd go, and plummeted for the Vidlin area first off (I ditched Kergord as it was raining and looked set in), and set off into the small woodland by the cemetery. There were a fair few Goldcrests about, and then I saw a wing-barred phyllosc which was inevitably a Yellow-browed Warbler - nice enough, as I didn't see a single one up here during my stay this time last year! And then at the base of a mossy tree, a movement caught my eye, which quickly unveiled itself as a Treecreeper. 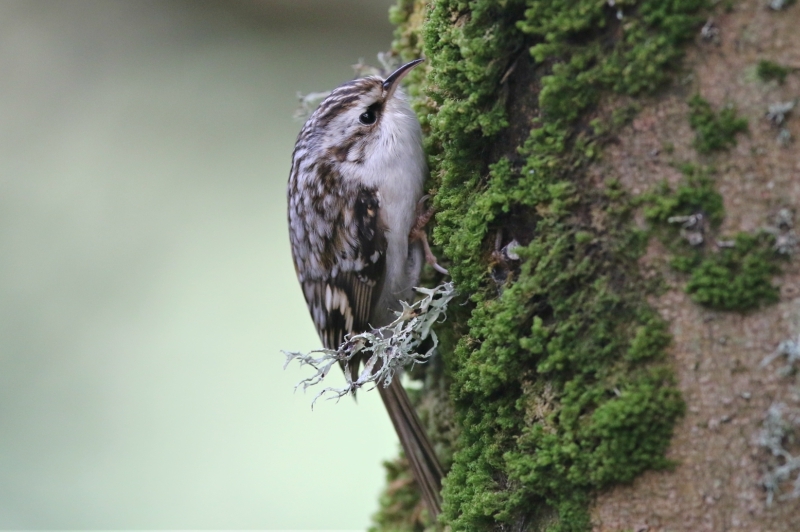 Very content with this, and in the dark conditions, its coldness was immediately apparent and so I was happy in the knowledge this was a northern bird (subspecies familiaris). As it turned out, it was outrageously confiding and seemed oblivious to me being within just a few feet of it. There was also a Siberian Chiffchaff in the same bit of cover, while an amble into the village didn't produce much of note - just more Brambling, Redwings and Goldcrests. And so I decided to have a quick trip to Whalsay, which was actually a new island for me. 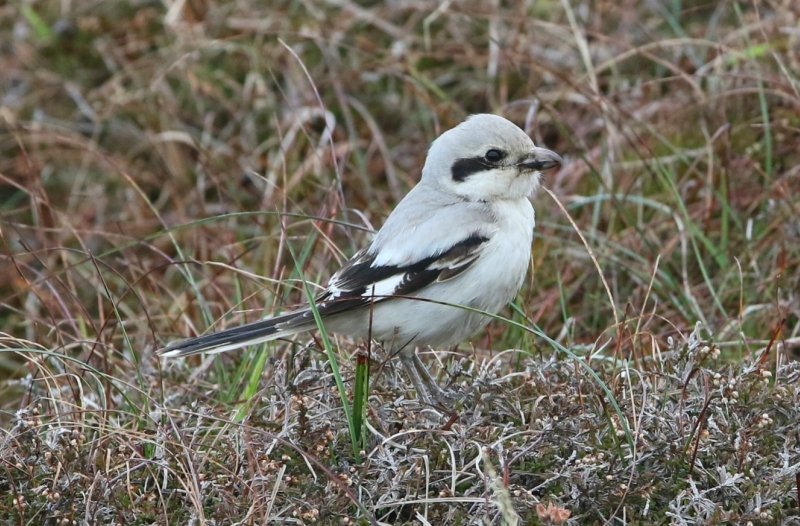 After the half hour ferry crossing from Laxo, and a ten minute drive, the 1st-winter Steppe Grey Shrike showed itself nicely as it perched on the peat moor and telegraph wires. 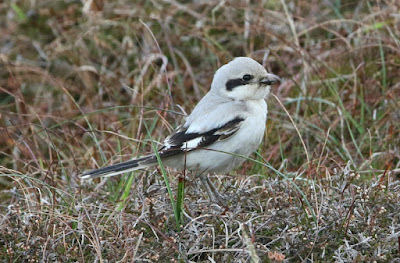 This was only my third one of the species, following a first-winter at Frinton-on-Sea, Essex back in November 1996 and a spring bird on the Isle of Man in 2003. 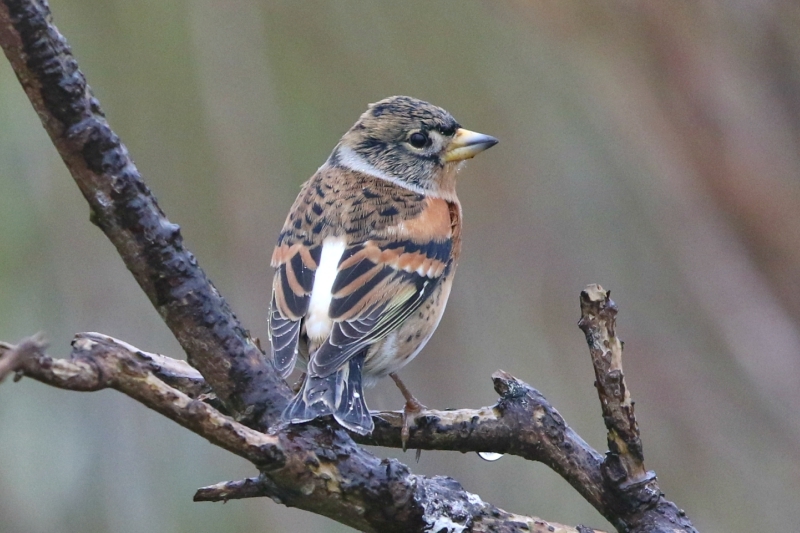 I had a quick look in a few gardens on the way back to the ferry, but all I had was a decent sized Brambling flock at Symbister. 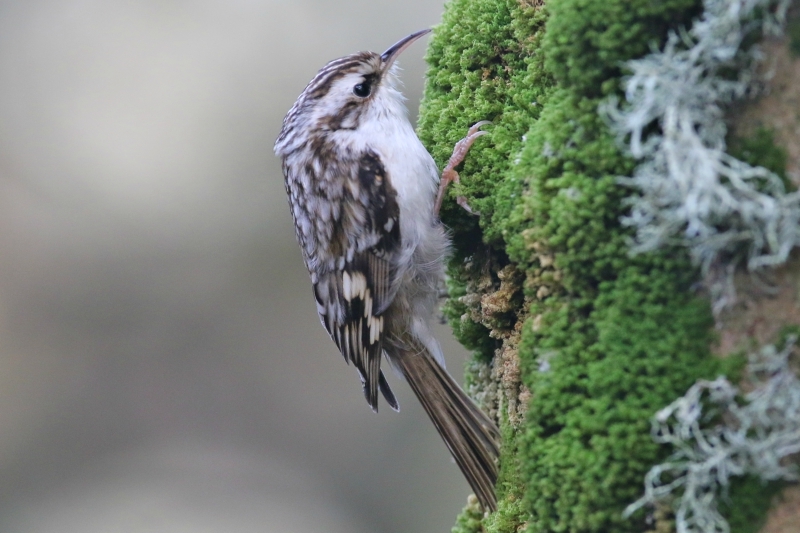 And then back on the mainland, I paid homage to the Northern Treecreeper before heading to Lunna where I spent the last hour or two of light - a tremendous looking place but not too much doing, with a couple of Chiffchaffs among the busy Goldcrests. And that was that, back to Lerwick for the night and to decide where to head tomorrow.